A five-year-old surround-sound receiver has all the appeal of a five-year-old banana. But a five-year-old (or even 25-year-old) stereo amplifier might sound and perform every bit as good as one built last month. Much stereo equipment is timeless, which is why so many audio enthusiasts are getting back into vintage gear. And a lot of old stereo gear is also extremely affordable. These old-school components still sound great today — and you can pick 'em up for a song. Here are five vintage amps and preamps I've had great experiences with — and in a couple of cases still own and use. If you see these guys selling on eBay or Audiogon for a reasonable price (or even better, at a garage sale for a crazily reasonable price), give 'em serious consideration if you're in the market for something in that vein. 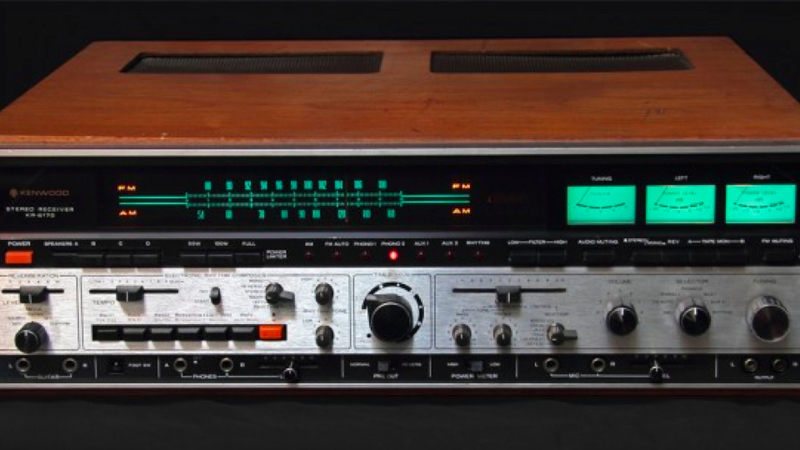 Kenwood KR-6170 "Jumbo Jet" stereo receiver (pictured above) Today's A/V receivers may seem feature-packed, but the KR-6170 makes them seem pathetically parsimonious. This fabled early-1970s receiver, commonly referred to as the "Jumbo Jet", is stuffed with features you'll never see on anything made today. Front and centre is a spring-loaded sleep timer knob that works just like the heat lamp timers you find in motel bathrooms. A built-in rhythm box gives you a dozen different ultra-cheezy beats, and you can plug in a guitar and a microphone and play right along. There's even a spring reverb, the same type found in classic Fender guitar amps. Choose from the 50-watt, 100-watt or "full power" setting. I don't know what the KR-6170 originally cost, but you should be able to pick one up for $US100 to $US300. I got to play with one during my recent visit to vintage dealer Innovative Audio, and I guarantee it'll inspire more conversation and admiration than even the most high-end A/V receiver made today. Carver A-400X stereo amplifier The A-400X was the affordable powerhouse amp of 1996. Beneath that ugly faceplate lies brute power: 200 watts per channel into 8 ohms, 300 watts per channel into 4 ohms and 500 watts in bridged mono mode, all for a measly list price of $US685. And it was THX-certified to boot, back in the day when an amp had to drive a punishing 3.2-ohm test load to get the THX stamp. I still use an A-400X for some of my speaker measurements. It's 15 years old, works perfectly, and has followed me to three cities and five places of residence without so much as blowing a fuse. An A-400X might typically fetch $US300 these days, but I've heard of them going for as little as $US100. For tons of traditional, all-analog, Class AB power, there's probably no better deal going. Conrad-Johnson PV-2 preamp This 1998 gem was the product of a short-lived effort by Monster Cable to get into the audio component business. Monster Cable spared no money on R&D with the Number Cruncher 205.2; it was a collaboration between well-known high-end audio engineers Demian Martin and Peter Madnick (who are now designing and building mega-fancy stuff). The Number Cruncher 205.2 can turn any old CD player with a digital output into a very sweet-sounding source. My friend Terry still uses one in his tube-powered vintage audio system to get better sound from his satellite TV tuner and his old Pioneer CD changer. The 205.2 cost $US450 new, and you can probably pick one up for $US100 today. Combine it with an old DVD player (practically all of which have digital output) and you'll have a real high-end CD player for less than the cost of an iPod. Entech Number Cruncher 205.2 digital-to-analogue converter The PV-2 tube preamp hails back to 1980, an era when audiophiles were starting to realise that new technologies don't necessarily sound better than the old. I don't know what the PV-2 (or its slightly modified successor, the PV-2a) originally cost, but I found a PV-2a for $US200 about 10 years ago in a Manhattan pawn shop and fell in love. The preamp delivered all the classic warmth and natural tone that keeps so many audiophiles coming back to tubes decade after decade. It even had a really good-sounding phono stage. Its one flaw was a fragile power switch. A $US25 generic replacement switch ordered from Conrad-Johnson didn't fit; with the help of a hand file, I was able to slip in a much nicer switch from RadioShack for the princely sum of $US3. Don't expect as good a deal on a PV-2 as I got, though-a PV-2a recently went for more than $US500 on eBay. 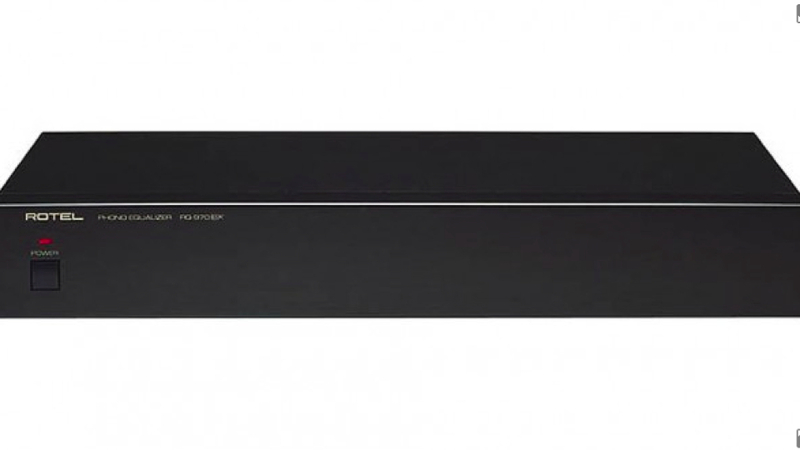 Rotel RQ-970BX phono preamp Most budget phono preamps are cute little things, but Rotel's RQ-970BX phono pre was a full-size component with its own internal power supply and a remarkably robust sound. There's nothing on the front but a logo and a power switch, and nothing on the back but single sets of input and output jacks, a ground screw, and a switch to select moving-magnet (MM) or moving-coil (MC) cartridge. But it's got it where it counts. 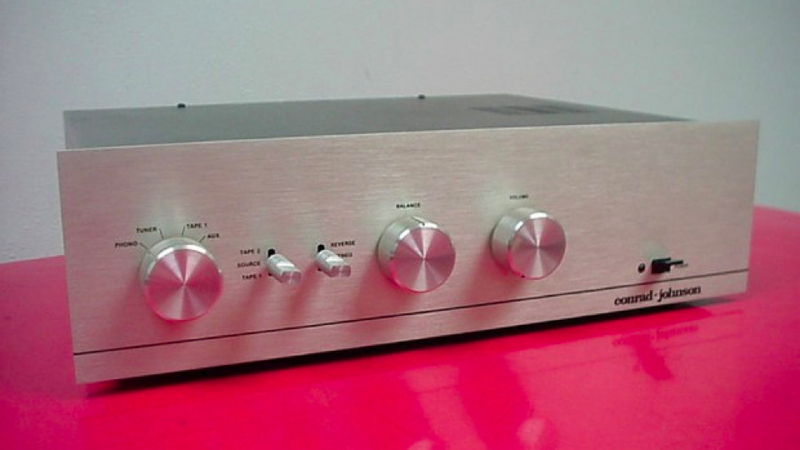 The RQ-970BX was considered one of the best budget phono pres of its day, and please don't ask me what dumb reason I had for getting rid of mine. It was only $US199 new, and you can probably find one now for $US75 or less. Sound+Vision gets under the hood of the best new audio and video gear—and goes behind the scenes on the music and movies that make the tech worth owning.